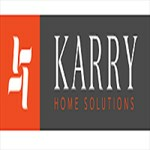 At Karry Home Solutions, we create turnkey home renovations and custom built-ins of the highest quality standards. Made specifically for your needs and tastes, we handle every step of the renovation process: design, demolition, construction and finishing. We understand the challenges that coincide with a remodel and take a personal, hands-on approach to ensure a seamless and stress-free process.